It was an anthology that began simply enough: as a way to gather together the best kinds of writing going on in the South. It was also a way, back then, for editor Shannon Ravenel to keep tabs on who was writing what. Some of those voices that she heard first are now well-known: Barbara Kingsolver, Robert Olen Butler, Marly Swick, Rick Bass, Abraham Verghese, James Lee Burke, Larry Brown. Our goal is still the same-to find the most original and affecting stories. 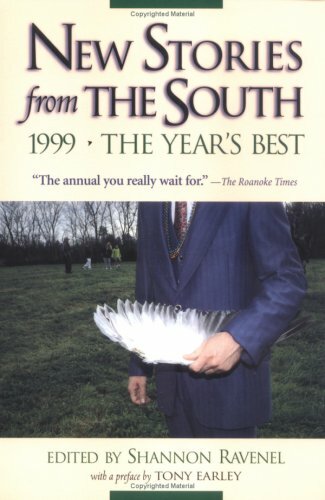 And this year, in our newest tradition, we're pleased to include a preface by Tony Earley, which calls into question the message of one of the most-anthologized Southern stories of our time. Laura Payne Butler, and Wendy Brenner. An indispensable resource for aspiring writers, students, and readers of Southern fiction, New Stories from the South also includes the story behind each story. We continue to offer an updated list of magazines consulted by the editor, along with a complete list of all the stories selected each year since the series' inception, in 1986.